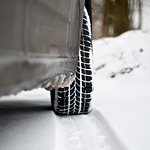 One factor to consider as to whether to buy winter tires or all-season tires is the frequency of snow and ice. If it rarely or never snows where you live in the winter, then you are probably better off with all-season tires. If you are in a snowy area, then you are definitely going to need winter tires so that you can maintain control during these weather conditions. Other things you are going to have to consider when it comes to your tires is mounting them so that you can maintain their effectiveness.